Download first : Samsung Galaxy 551 / I5510 Download Program - USB cable. 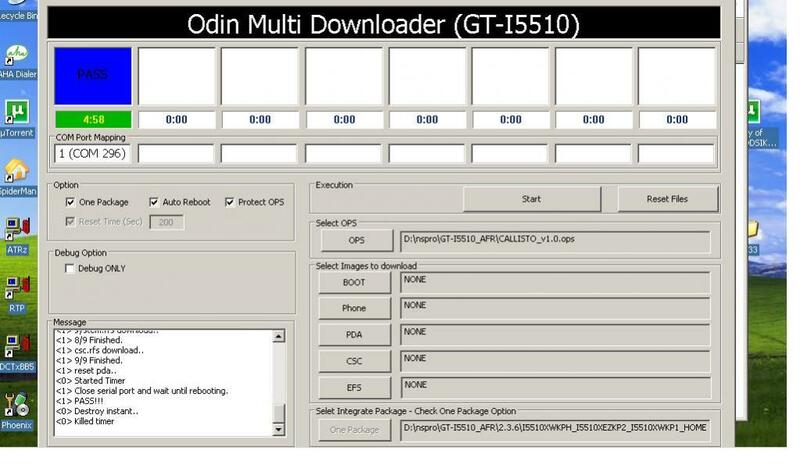 Download the driver used his : Samsung Galaxy 551 / I5510 USB Drivers. Press the Q key on the phone is not released followed press the POWER button to exit the screen cellphone Downloading. Do full factory reset, this is useful if you'll experience bootloops after flashing. Master reset by code *2767*3855# or via recovery mode pressing the "T key and Power key" will get you in recovery mode just scroll down to Wipe Data/Factory reset. 0 Respones to "How to Upgrade Samsung Galaxy 551 I5510 to Android 2.3.6 Gingerbread Firmware I5510XWKPH"